Family run luxury cottages, vintage gypsy caravans & boutique camping in the grounds of a magical castle, idyllically set in the heart of the Normandy countryside. 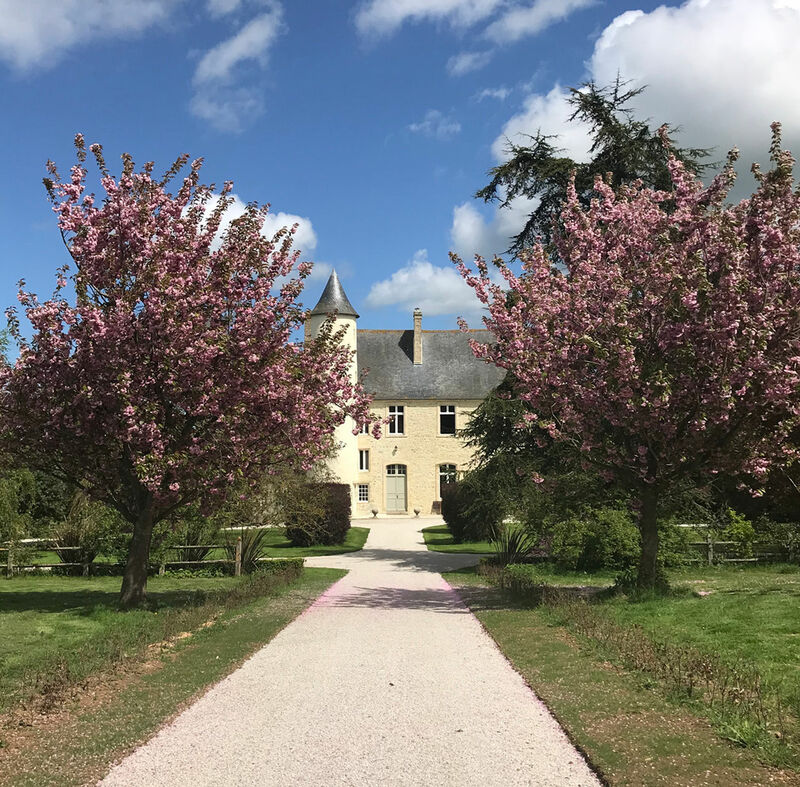 Whether it’s sitting around a campfire toasting marshmallows, gazing at the star drenched skies, shucking oysters, having a dip in the natural swim pond or tasting cider and calvados, Chateau Monfreville is the perfect retreat to unwind & relax. Explore the world war 2 landing beaches and monuments of Omaha & Utah, discover the Bayeux tapestry or visit Mont Saint Michel. Normandy has a rich & colourful history dating back to the Vikings with beautiful villages, towns & gastronomy to delight the senses, this region of France is an exceptional destination. Paul & Zoe along with Bert the donkey, Hector the Labrador & their pet pigs, Bernard & Rene, warmly welcome all ages for a truly unique holiday. An Oasis of Beauty & Tranquillity.